Tearing of the cranial cruciate ligament (CCL) is one of the most common injuries in dogs and it commonly leads to decreased use of the limb, pain, and subsequent arthritis. This condition is typically referred to as cranial cruciate ligament disease and is caused by a combination of factors including aging, obesity, poor physical condition, and genetics. It is important to note that partial tearing of the CCL will lead to a full tear over time and dogs that have a tear in one knee have a 40% - 60% chance of developing the condition in the contralateral knee1. Torn ligaments do not heal and cannot be repaired completely. 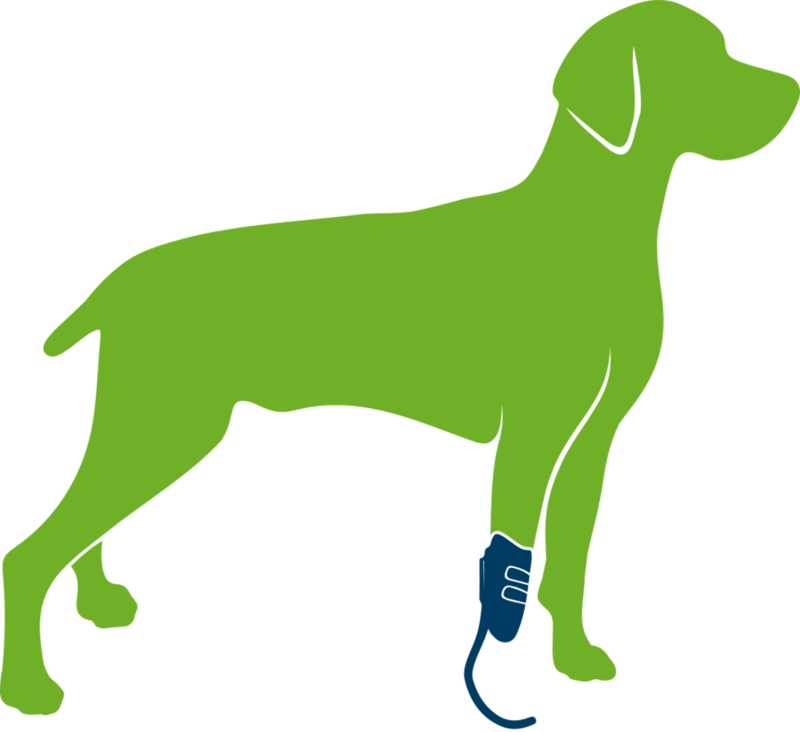 The PawOpedic™ Custom Stifle Orthosis is the perfect solution for pets with CCL injuries when surgery is not an option, as a preventative measure, or as a postoperative support device. The CCL is a main stabilizer of the knee joint (stifle). It runs across the stifle attaching the femur to the tibia. The CCL holds the tibia in place and prevents internal rotation and hyperextension. Without the CCL intact, the surrounding ligaments and musculature are all that is left to prevent the tibia from translating forward and internally rotating. PawOpedic's Custom Stifle Orthosis can help prevent this unwanted movement by applying corrective forces that hold the tibia in the proper position in relation to the femur bone. Figure 1. Comparison of unbraced CCL tear on left and braced CCL tear on right. Notice the forward translation of the tibia in relation to the femur in the unbraced injury.